The Innevation Center welcomes two team members from The Abbi Agency for their Thursday, March 26, 2015 CommunityCation luncheon. This is a free event that will take place from 11:30am to 1:00pm. Constance Aguilar and Jackie Dennis will present “Growing Your Business Up”, highlighting business growth strategies from a global perspective. Constance Aguilar is the Director of Digital Strategy, and her role focuses primarily on technology clients. Clients range from being in their beta/launch phases all the way up to funding rounds and thought leadership development. Jackie Dennis is the VP of Marketing for The Abbi Agency, and she is the leader of our southern Nevada division/offices. She is a seasoned marketer experienced in handling management and initiatives for high-level accounts. The Abbi Agency started in 2007 from owner and president Abbi Whitaker’s kitchen table. At The Abbi Agency, the team tells the stories of clients across mediums in an effort to engage customers, partners, event attendees, esteemed colleagues, and surrounding communities. To do this, the team strives to think beyond today’s trends, and deliver the results that position clients as innovators and thought leaders. Abbi Whitaker and Constance Aguilar began their journey into the #VegasTech ecosystem when they started working out of an office in downtown’s Emergency Arts a few years ago. Since then, their team has worked with several Vegas-based technology companies and forged close working ties with statewide business development government organizations. Recently, Abbi Whitaker worked directly with Switch founder Rob Roy and team to assist in the expansion of The Innevation Center to Northern Nevada. In addition, they worked with Las Vegas-based 3D printing startup Full Spectrum Laser. The Abbi Agency team focused on the startup’s Kickstarter campaign, as well as CES coverage and product launch press. The work resulted in placements with GigaOm, TechCrunch, and more. The duo says that since The Abbi Agency team has years of experience working with software and hardware startups, much the content will be geared toward technology companies. However, the agency has a wide range of B2C and B2B clients outside of the tech world as well. Constance Aguilar thinks there are very exciting opportunities to position Vegas as an attractive and successful city for startups to both launch from and relocate. 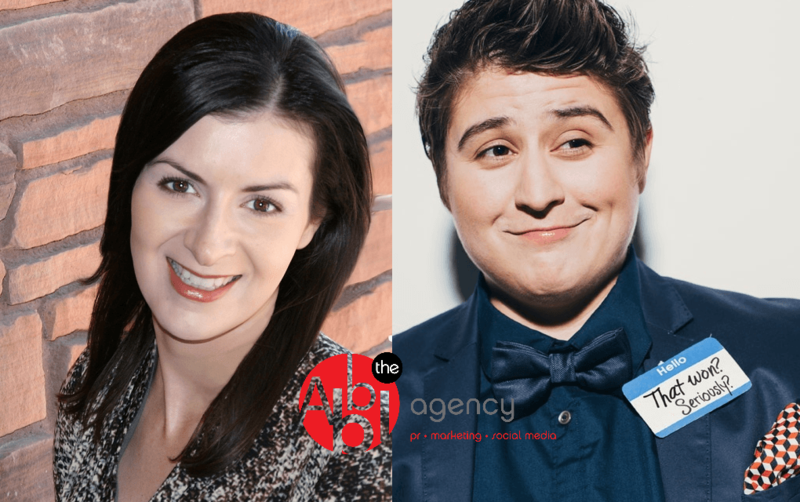 2015 has already proven to be a busy year for The Abbi Agency. The company just moved into an office building in Reno and even have a rebranding campaign for the agency itself in the works.